Giada. Available in three colors. re-souL. $148. Therefore, I'm beside myself with anticipation as we kick off the spring re-souL giveaway. The lucky winner will get to choose a pair of shoes from the re-souL collection to keep for her very own. The re-souL Collection is Maggie's brainchild. 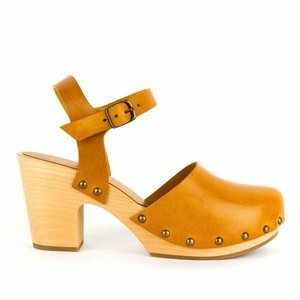 She designs the shoes here in Seattle and has them made in Italy with high quality materials. 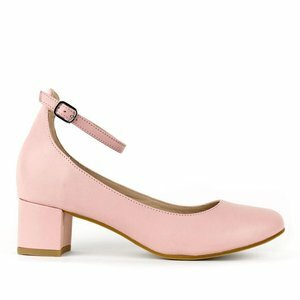 She always pays close attention to upcoming trends AND ensuring that every pair is comfortable enough for a woman on her feet all day. 8 Days. 8 Pairs of Shoes to Choose From. The winner will choose one of these beauties! (There are several other colors available. See them all re-souL or online and let them know that Poplin sent you). 1. Follow Poplinstyle on Instagram. 2. Follow re-souL on Instagram. 3. Tag three friends on any of the re-souL related Poplin posts. That's it! We'll be posting a re-souL photo everyday for 8 days. 8 days. 8 pairs of shoes. On the 9th day, the winner will be announced. Feel free to comment on any or all of the photos for the 8 days. Yup. You'll be entered again everytime you comment and tag. Increase your chances, why don't you? We appreciate you supporting local businesses like re-souL and Poplin Style. Thank YOU. Enjoy!